This is to inform you that you have won a prize money of EIGHT HUNDRED AND FIFTY THOUSAND EURO(850, 000. 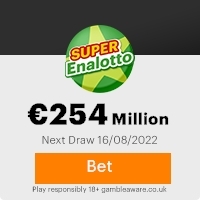 00 Euros) for the YEAR 2007 Lottery promotion which is organized by YAHOO LOTTERY INC for the introduction of the new YAHOO BETA MAIL which all YAHOO users are required to switch onto. YAHOO! & MICROSOFT WINDOWS, arrange and gather all the e-mail addresses of the people that are active online, among the millions that subscribed to Yahoo and Hotmail, and others we only select TWENTY (20) candidates per annually as our winners through Electronic Balloting System (EBS) without the candidate applying, we congratulate you for being one of the people selected. We are sorry that your Payment Approval File was sent to Africa so that you can be cleared and paid simultaneously there. You are to contact our UK Agent to give you more details for the collection of your winning fund. Note. You are to bear the cost of recieving your prize fund in any option you chosed of recieving your fund. To claim your prize money,you are required from the UK Claimming Agent with your Batch number,Reff number,Winning number through his email below. CONTACT PHONE: +226 78 84 52 47. You are therefore advised to send the following information to him to facilitate them and process the transfer of your fund with the appointed paying bank in Africa. Previous: Win Notification-Conta ... gent.Fresh ScamsNext: Win Notification-Conta ... gent. This Email with the Subject "CONGRATULATIONS, YOU HAVE WON" was received in one of Scamdex's honeypot email accounts on Sun, 14 Oct 2007 17:56:17 -0700 and has been classified as a Generic Scam Email. The sender shows as MICROSOFT LOTTO <ymicrolttoo30@hotmail.com>, although that address was probably spoofed. We recommend that you do not attempt to contact any persons or organizations referenced in this email, as you may expose yourself to scammers and, at the very least, you will be added to their email address lists for spam purposes.